The Christiania trike offers a reliable quality trike, which can be effectively used by a variety of different business. 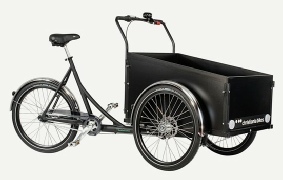 It offers a cost effective solution to many transportation requirements, which is kind to the environment and your company’s carbon footprint. 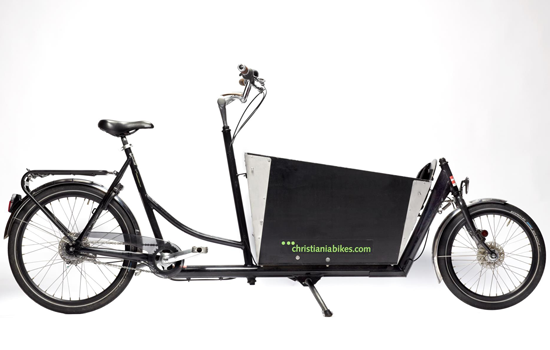 Assembled from quality components, the Christiania requires minimal maintenance and offers a smooth ride time after time. 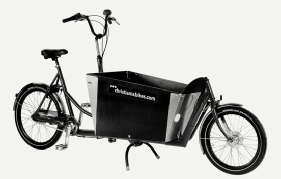 It also has one of the best price/cargo capacity ratios of all the quality cargo bikes. With the addition of electric assist, the Christiania can offer you great service, even in hillier areas and allows a longer delivery radius. Less cycle fit members of staff can also be motivated to join in too. 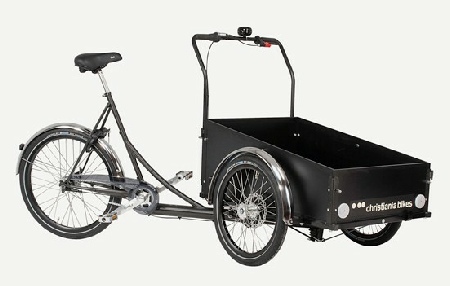 A cargo trike is a perfect advertising tool too, being very visible and able to be ridden directly to where your customers are. 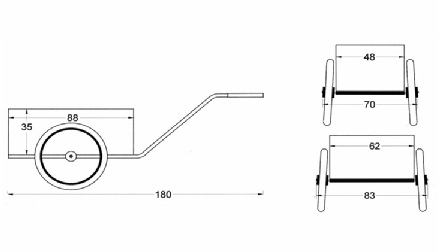 We have a great graphic printer who will help you design an eye catching creation to apply to the sides of your Christiania cargo box sides. Prices from £100 (including VAT). Please just give us a call to discuss your individual requirements. 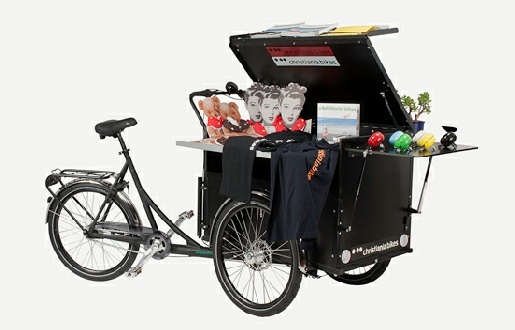 This trike is supplied with two folding table stands for brochures and a pull out shelf. The H box is the classic load carrying tricycle. 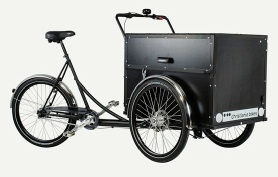 The P/Box was developed for the Danish Postal Service. 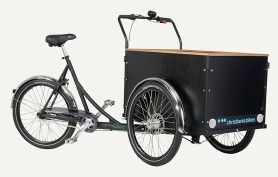 Its lockable box offers security but opens fully and easily with a pnuematic arms, while the flap allows easy access to the box without the need to lift the lid. 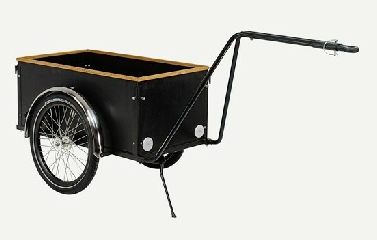 Ideal for cycle transport of high value goods or tools. Benefits from having a low loading height at the front of the box. 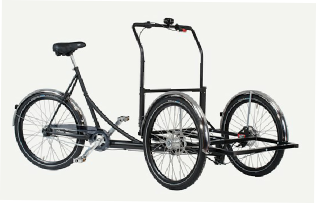 It is suitable for transporting goods and as a workshop bike. 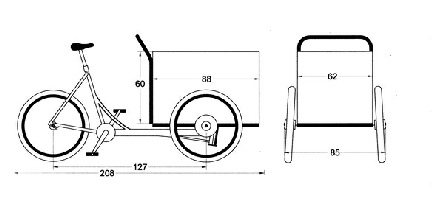 It has smaller front wheels and the rear frame is recessed in relation to the smaller front wheels. 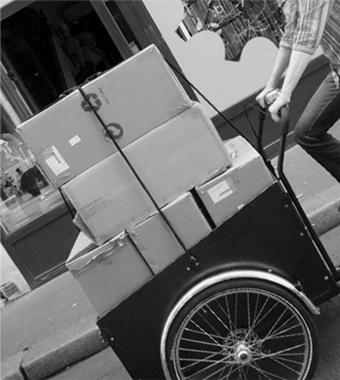 The 3107 is the ‘no box’ option, for businesses who want to customize the front box. 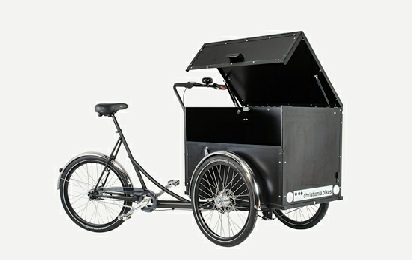 Ideal for adding ice cream refrigeration or to sell hot food at outdoor events etc. 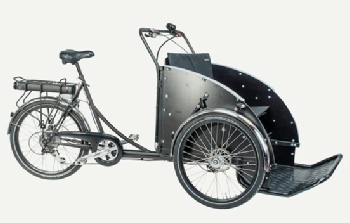 Christiania bikes is able to produce bespoke frame sizes to fit your requirements. 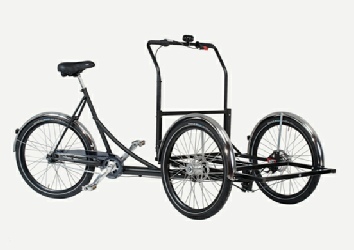 If you are looking for a durable bike trailer, then the Christiania bike trailers offer a great solution. The hitch is simple and universal to any bike with a seatpost. The box is made from marine ply woode. It is available in 3 sizes and the sides can be easily turned into a moving advertisement using our graphic printer. 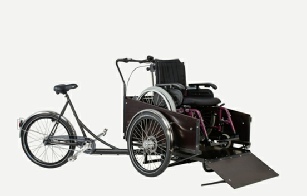 wheelchair can be pushed up and down. Possible to add a bespoke Bugatti hood and bench.